My client, a real estate partner in Princeton, NJ was trying to figure out how to tie social media into their current marketing strategy in order to connect with younger clientele. I was explaining that everything you do, especially online, represents the brand and can quickly tarnish or elevate sentiment depending on how your audience perceives your authenticity. There needs to be a connection (engagement, entertainment, content, etc.) between the consumer and the brand, which is simple enough to visualize. So it’s easy to see how I blurted out “brand bridge,” and therefore I am relieved of all future teasing. Bridges, at their core, are structures that fill voids enabling two ends to be connected. Bridges (typically) aren’t natural structures, and therefore have to be designed, planned, budgeted for, marketed and utilized by the end user. 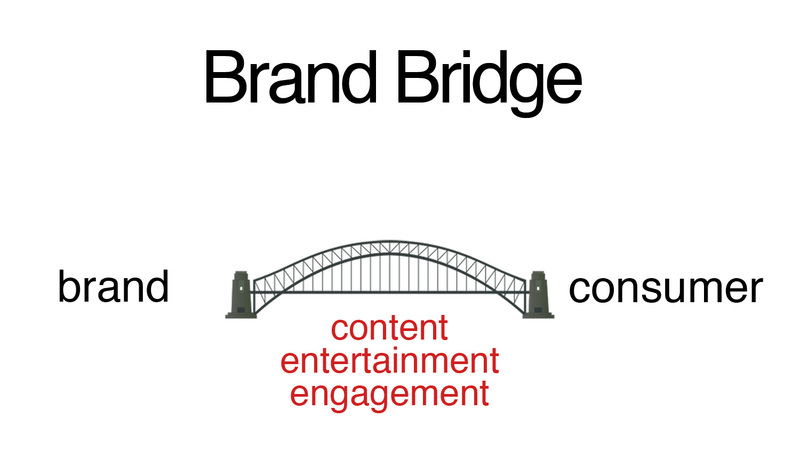 I feel that the term “brand bridge” could take on a lot of meanings, but should be focused on the broad concept of creating the connection between brand and consumer. These SM and PR concepts that are buzzing around now are nothing new, in fact they’re quite old. In the late 1800’s, Ivy Lee, who is considered to be the founder of modern PR, tweeted, er, said that companies need to have dialogue with their customers. They need to be truthful (authentic), give people what they want (content), and employ a two-way communications mentality (engage.) For an old guy, he’s pretty smart. He totally gets it. There was a joke somewhere in there. Successfully connecting brands and consumers is harder than it sounds. It’s more than simply getting on Twitter and Facebook. It’s more than putting social icons on your website. It’s about a lot of things, actually. It entails putting time and money into strategy, research, and implementation, while making considerations for finance, recruiting (HR), sales, marketing, and PR. But most of all it all comes back to satisfying your audience and customers. Marketing 101, right? 1 Reply to "Building Brand Bridges - Old Concepts Revitalized by Social Media"